Fantastic update. Nice to see everything laid out and we can get a real glimpse of all the plans etc. - this is why I love your stories, everything is just perfect. 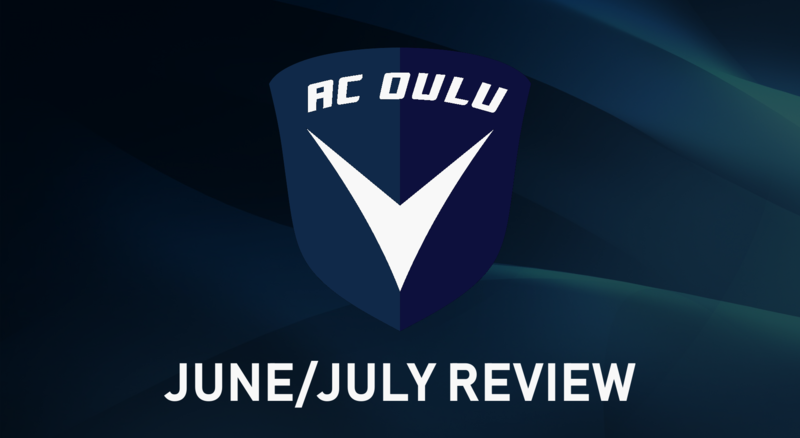 June and July were really tough months and they really set the tone of my expectations for this season as we finished July in ninth place, eight points from the relegation play-off spot. We played eleven games throughout the two months but we only won three games out of that which is a shocking return that really shouldn't have happened. 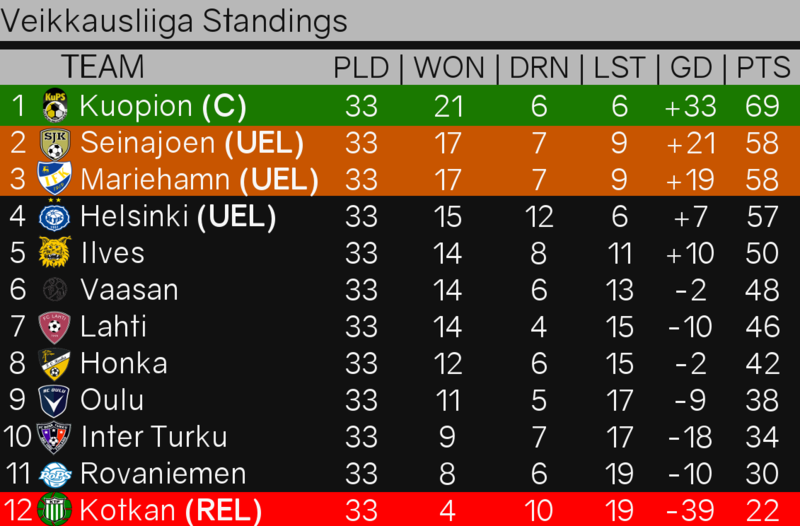 With the bad state of results this month, we have almost been dragged into the relegation dogfight alongside Inter Turku, Kotkan and Rovaniemen as we sit just 8 points afloat of the relegation spots. 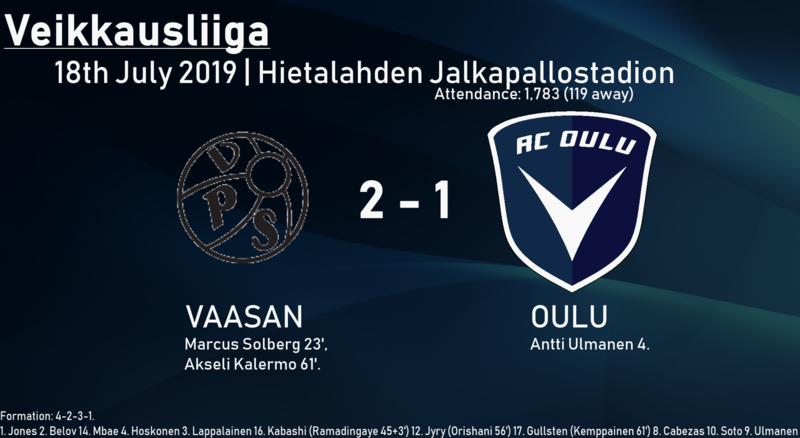 The average amount of points that guarantee safety in the Veikkausliiga is 35 points - a tally that we are 12 points away from at this point in the season with 12 games left. 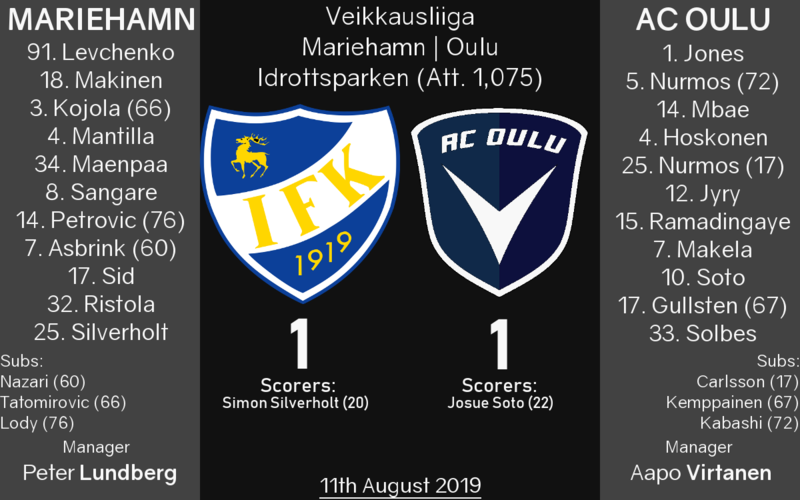 At the top of the table, Kuopion's sterling start to the league with their 100% win record came to a close as they lost three games in the June and July period. 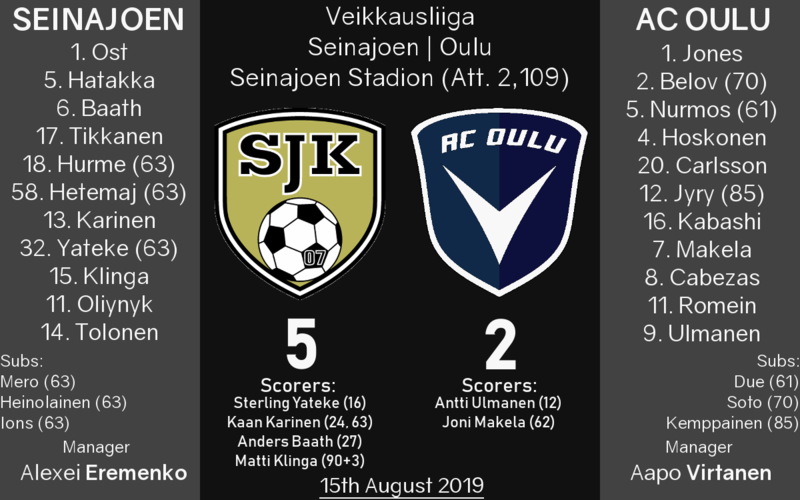 However, Korhonen's side still lead the way at the top of the table by a good amount of six points, with the current holders Helsinki lurking behind them in sixth place. 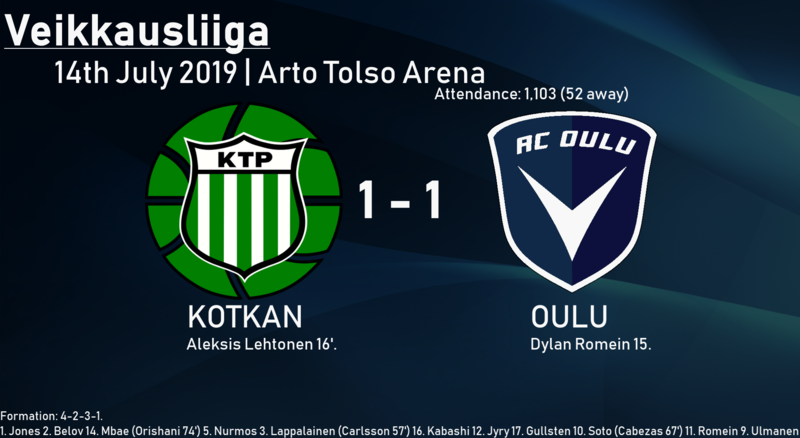 At the bottom of the table, Kotkan rapidly improved their form from the first two months of the season as they went from just one point in the first ten games to winning 14 points in these two months. This has lifted them off the foot of the table and into the relegation play-off spot. 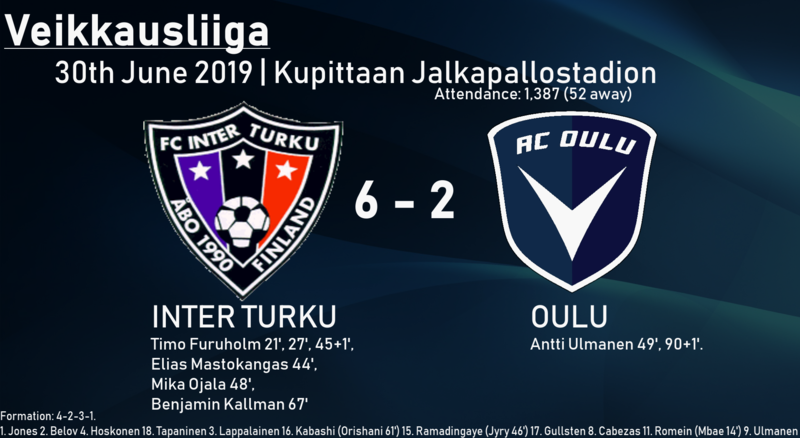 Inter Turku hang five points ahead but the good form of Kotkan is a real threat to them. Rovaniemen currently sit bottom of the table in automatic relegation on 13 points. This month we had a new addition in the form of young Spanish striker José Vicente Solbes. The 16-year-old arrives on a free transfer from Valencia-based side Santa Pola. 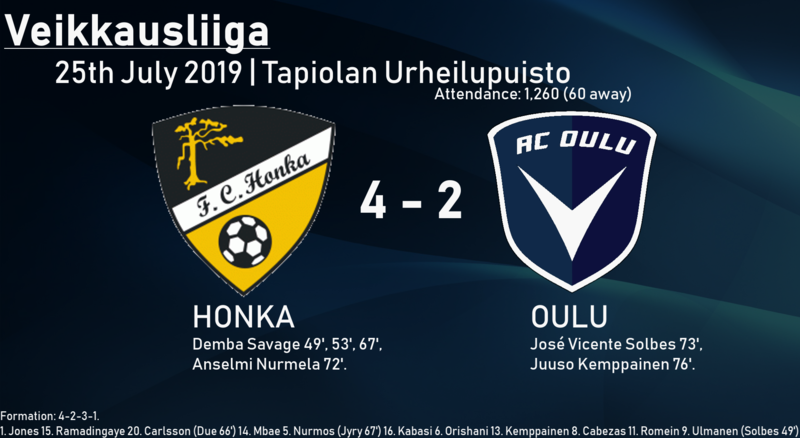 In our July match against Honka, Solbes became Oulu's youngest ever goalscorer at the age of 16 years and 44 days old when he scored in the 73rd minute of the game. 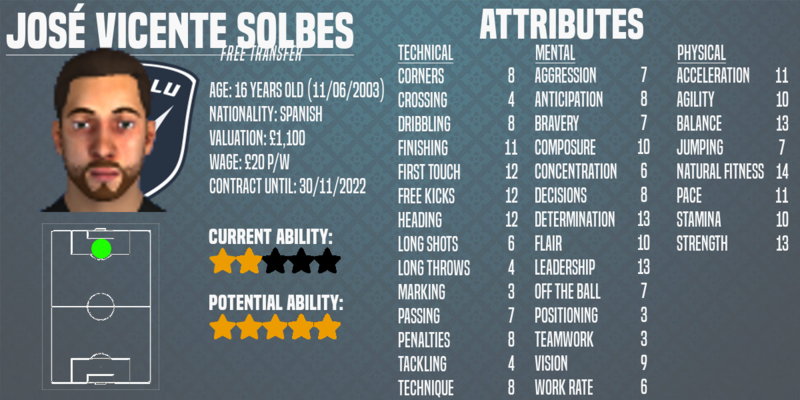 Solbes is a promising player and he takes the number 33 jersey for the rest of this season. The next three months are absolutely pivotal to our survival. We sit an adequate distance from the threat of relegation but I am definitely not ruling out the possibility of it considering our recent form. 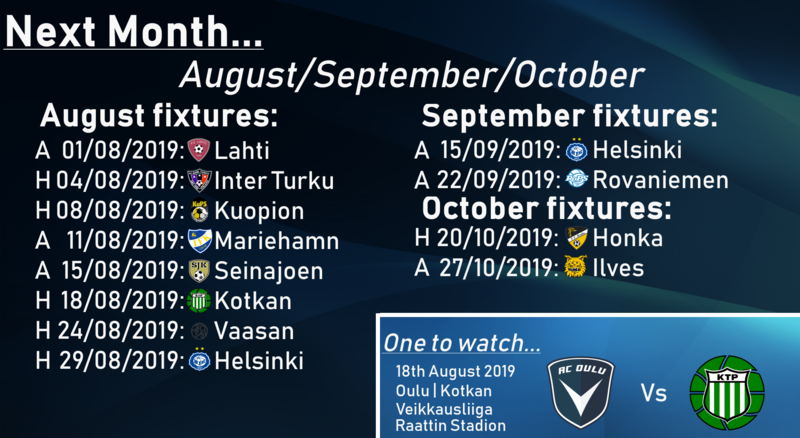 In the coming months, I believe our most important fixture will be the relegation battle between ourselves and Kotkan - who currently occupy the relegation play-off spot. It could be the difference between dragging us further into trouble or pushing us that further away from problems that relegation brings. Agreed, after our start I expected the momentum to drag us through some of the tougher games but it wasn't to be. You're right about managing expectations too as it is true we shouldn't be aiming too high this season. 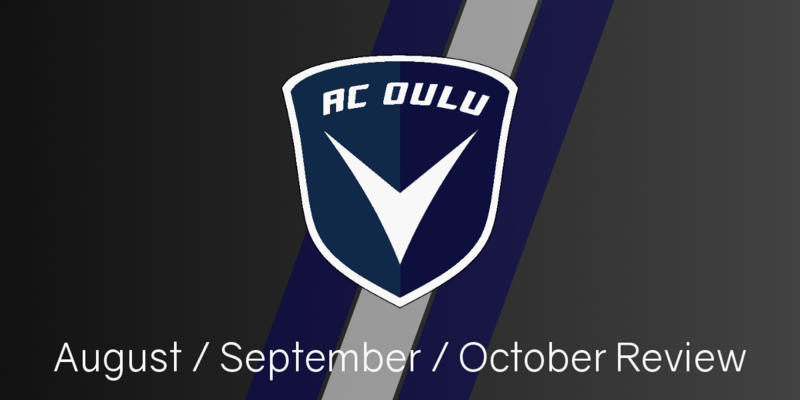 Aapo Virtanen has yet again met expectations for the second season in a row as he has successfully guided AC Oulu to Veikkausliiga safety for the first time in the clubs history. 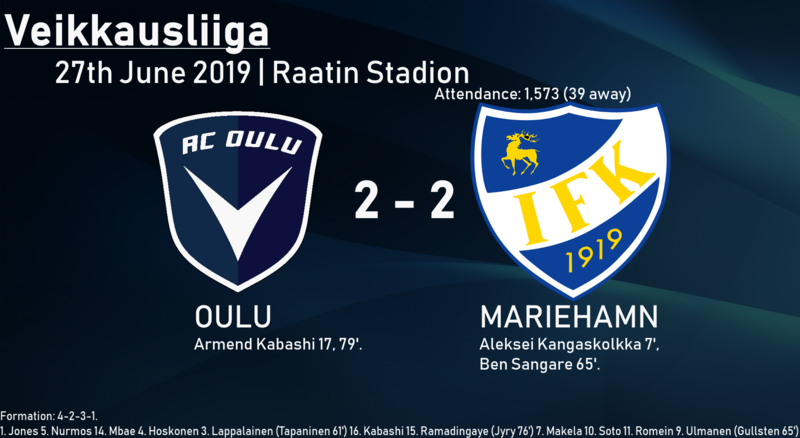 After unsuccessful previous spells in the top-flight in both 2007 and 2010, the club have finally secured a second season in the Veikkausliiga for the 2020 campaign. 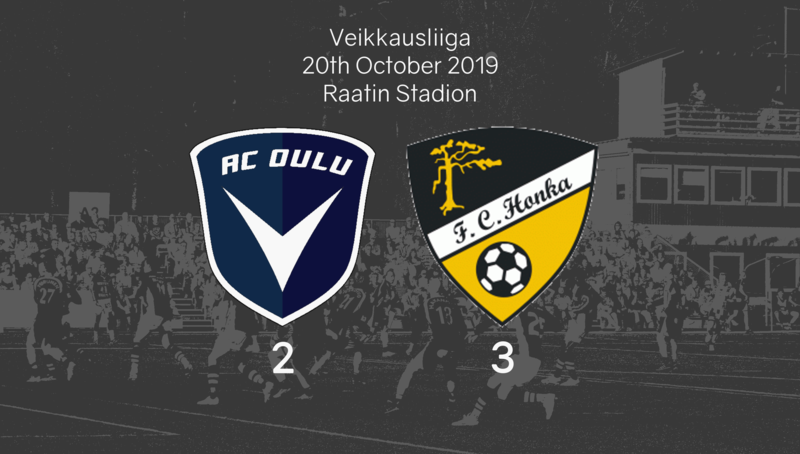 With two games left to play, it was surprisingly a loss that kept Oulu afloat for next season as they suffered a 3-2 home defeat at the hands of FC Honka, with their opponents' star striker Klauss netting a hat-trick past hapless goalkeeper Matt Jones. 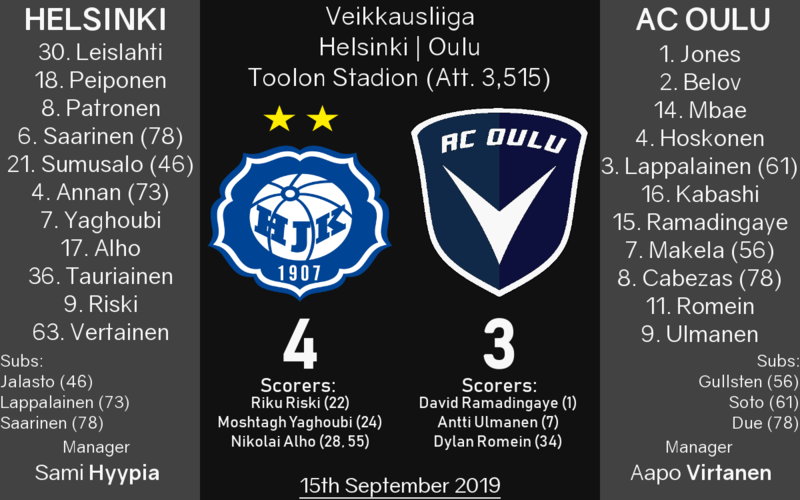 After an extremely poor run of form, leading to five straight losses in both league and cup in the month of May, Virtanen's side were dragged down from the high position of fourth place into a relegation dogfight towards the end of the season as Kotkan and Rovaniemen both picked up form to potentially save themselves from the drop. 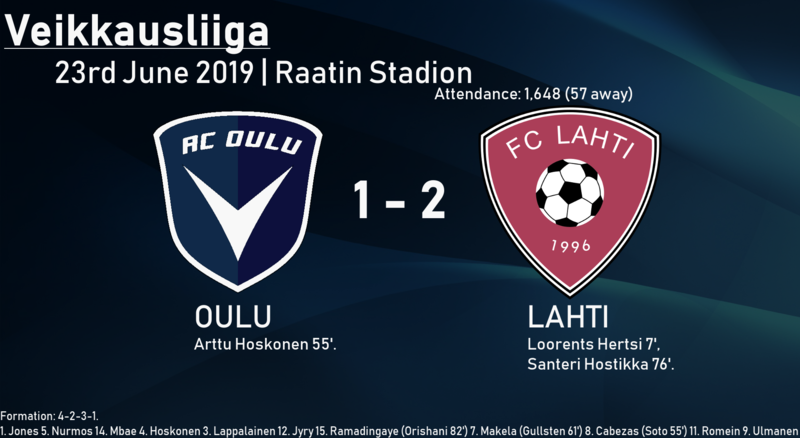 It was Rovaniemen's draw with FC Lahti today that confirmed Oulu's survival in the top division as Klauss bundled in a last-minute winner for FC Honka at Raatin Stadion. 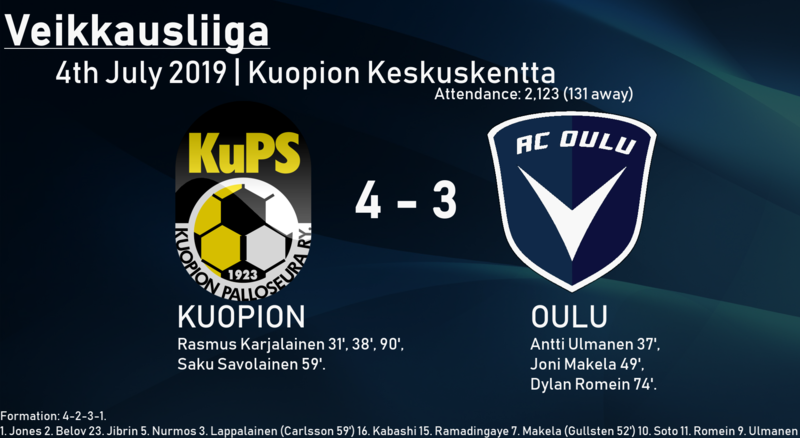 However, at the top of the table Kuopion were announced as Veikkausliiga champions as they developed an eleven-point lead over 2nd place Seinajoen. 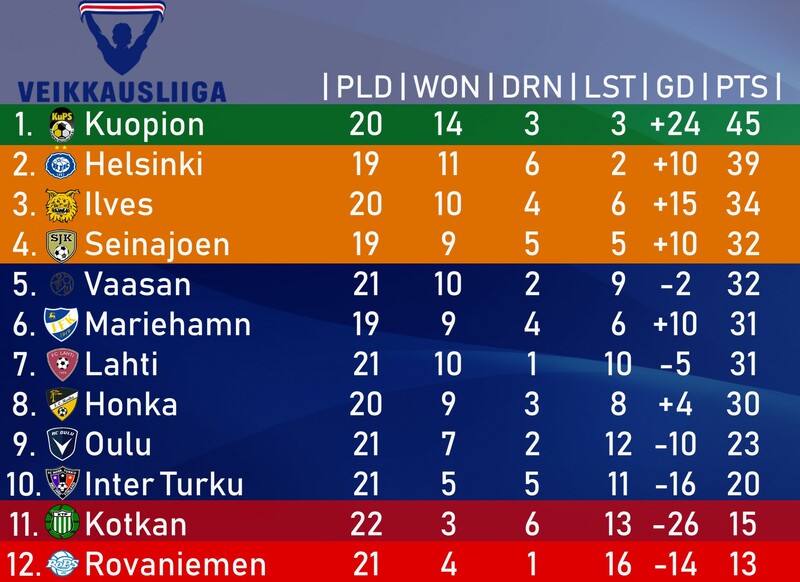 With Kotkan already automatically relegated at the foot of the table and Oulu now mathematically safe, it is now between Rovaniemen and FC Inter Turku to decide who ends up facing the lottery of the relegation play-off spot - with only one point separating the two teams in 11th and 10th place respectively. 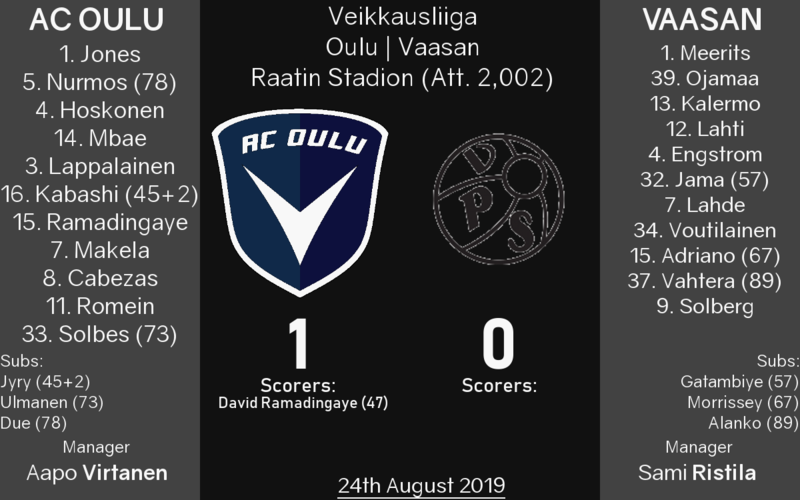 For Aapo Virtanen on the other hand, he can focus on taking Oulu to the next level in the Veikkausliiga for next season. As it stands, six first-team players will be out of contract at Raatin Stadion by the beginning of December. The players are mostly contracts that Virtanen inherited when taking charge of the club at the end of 2017 with the exception of Matt Jones who still has not been offered a new deal by the club after becoming Virtanen's first signing at Oulu in February 2018. Fantastic news. Glad to see Aapo and the boys have secured their status for another season. Hopefully they'll be able to build on that next year and seek to improve as a side year upon year. Really enjoying the story thus far, as I always do from yourself. Phew, good to see you survive! Another year in the top division will help you put together a squad capable of pushing up the table! 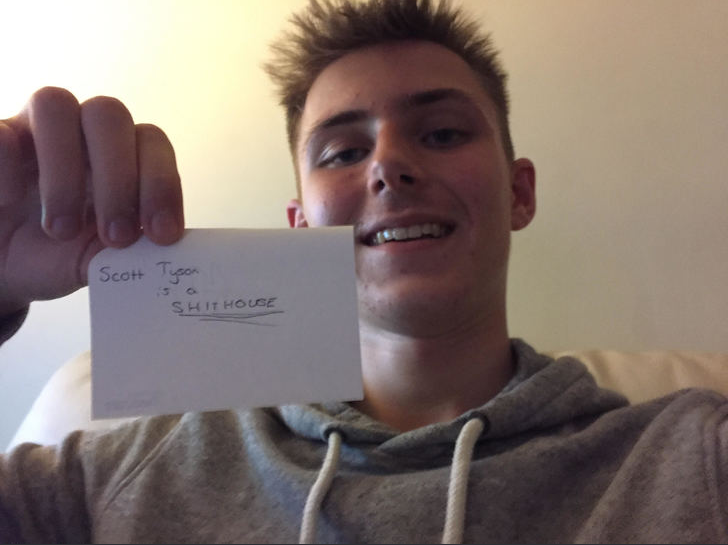 Justice: Thanks mate! Recruitment will be pivotal to improving this winter! And so season number two draws to a close as we slowly dragged ourselves to the finish line after what has been a long and worrying season. 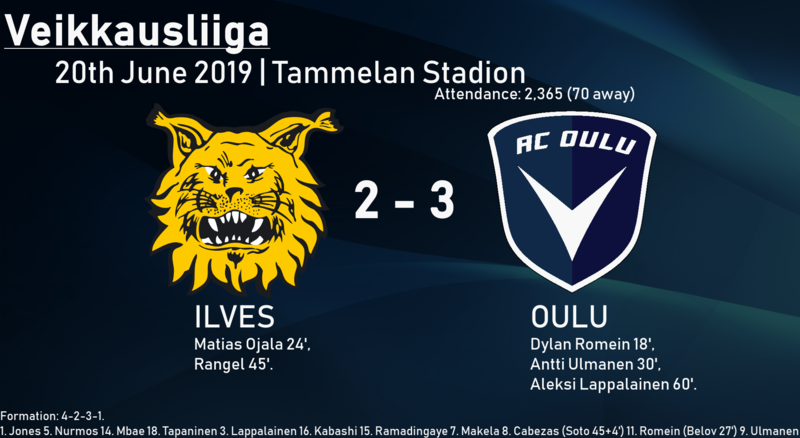 I expected a little better performance in the league considering the quality we brought in at the start of the season, but the main positive is that we stayed in the top-flight for more than the first season - a feat never achieved by Oulu before despite two spells in the Veikkausliiga. 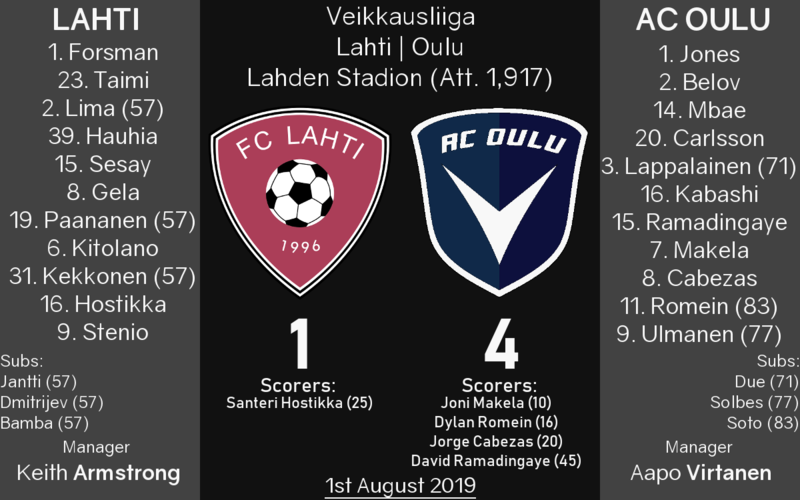 August began with a fantastic 4-1 victory against FC Lahti at Lahden Stadion, however the hammering was met by several poor performances against better quality teams including the ultimate Veikkausliiga champions Kuopion. 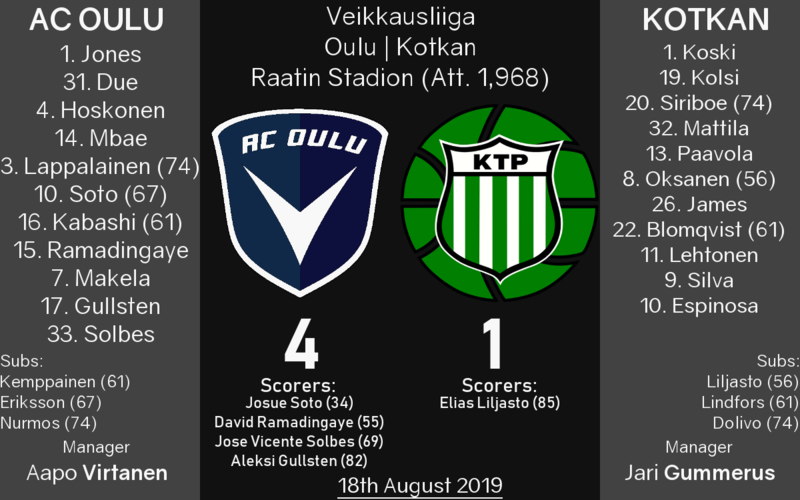 We returned to good form at the end of the season, with another 4-1 win against rock-bottom Kotkan followed by a narrow victory against mid-table Vaasan. 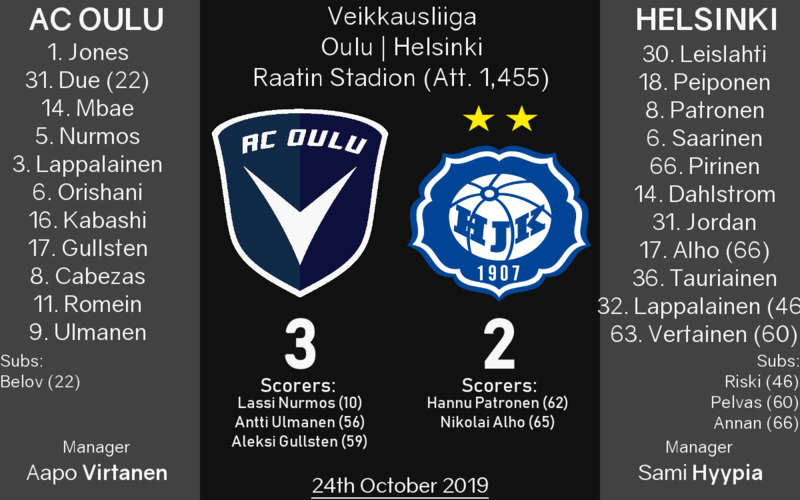 September was a worrying position as we lost out to Helsinki in a 4-3 loss followed by a draw against relegation candidates Rovaniemen which made me worried about a potential relegation scrap in the final three games. 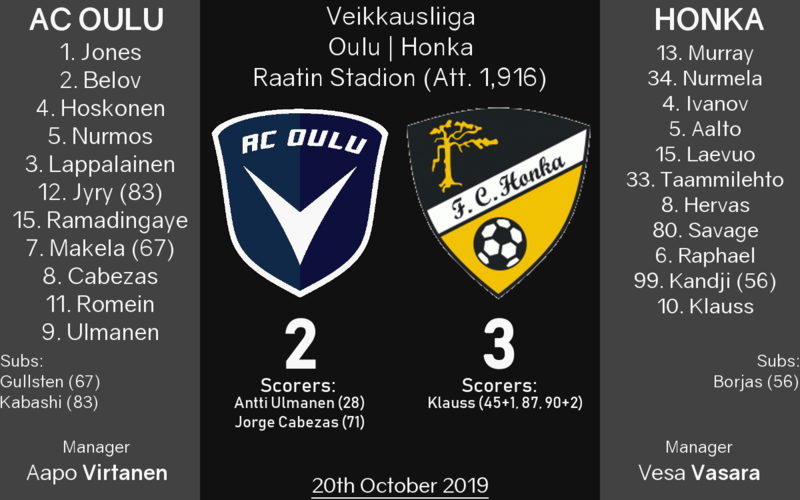 However, in the first game of October these fears were wiped away despite defeat to FC Honka as we were mathematically safe from relegation after the loss. 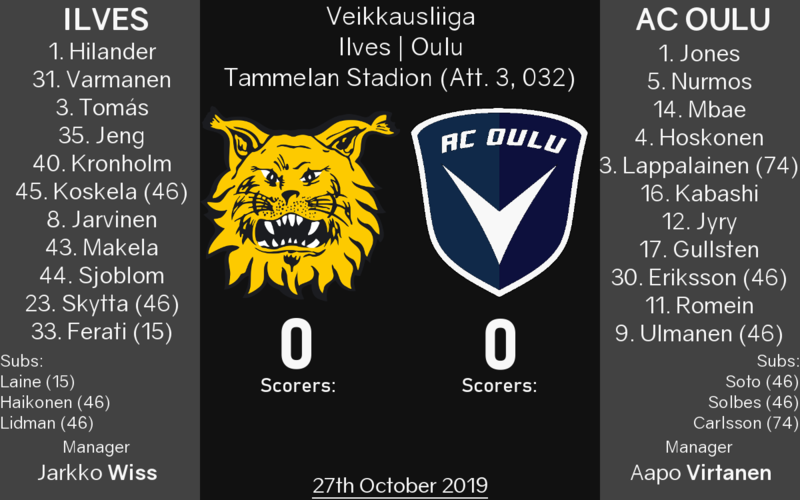 This was followed up by a shock win against preseason title-favourites Helsinki at Raatin Stadion before our final match of the season was a boring goalless draw against Ilves. And so as the 2019 campaign comes to a close, this is how the league table looks. 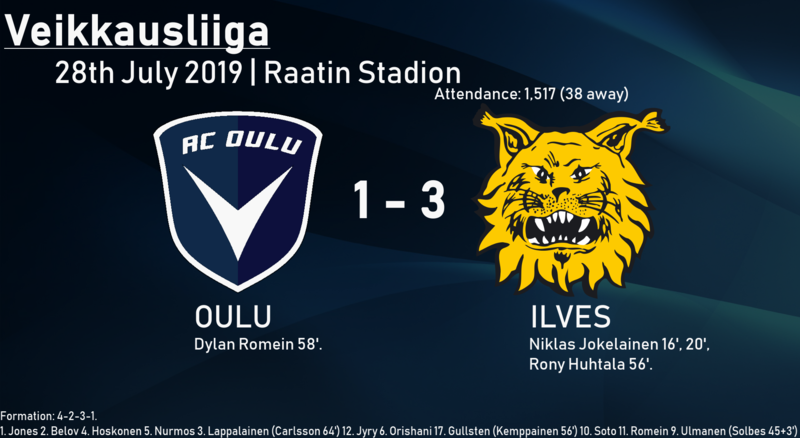 Coming in a comfortable ninth place is ourselves, as we avoided the threat of a relegation play-off by eight points thanks to our wins in August and the surprise home victory against Helsinki in October. Our highest league position of the season was fourth place, which we occupied for just two weeks of the entire campaign before our season started collapsing in May. 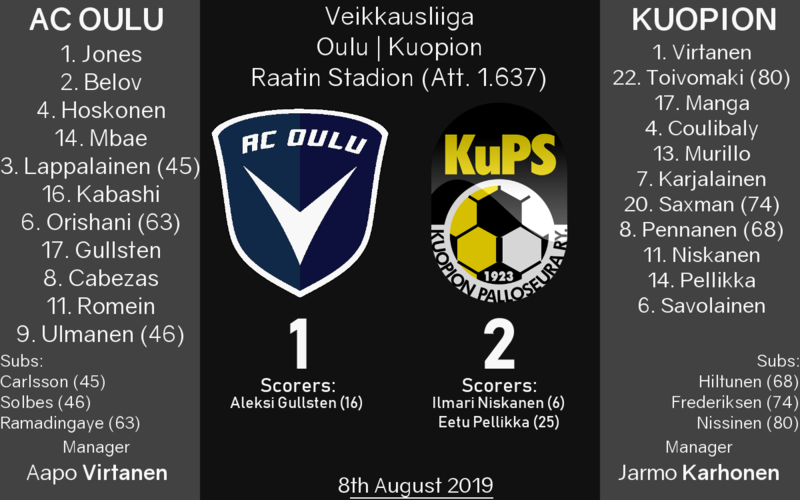 At the top end of the table, it was Kuopion who knocked last seasons winners Helsinki off their perch with an incredible 68-point finish at the top of the table after 33 games. This means that they will play in the UEFA Champions League next season and enter in the third qualifying round. In the other European spots are Seinajoen in 2nd, Mariehamn in 3rd and Helsinki in 4th. 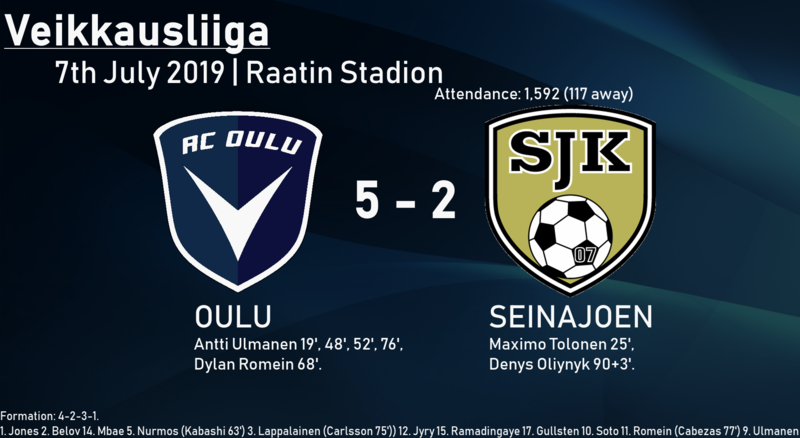 Helsinki will count themselves lucky for the opportunity of Europa League football next season as if it wasn't for Seinajoen's Suomen Cup glory in June, they wouldn't be looking at continental football in 2020. 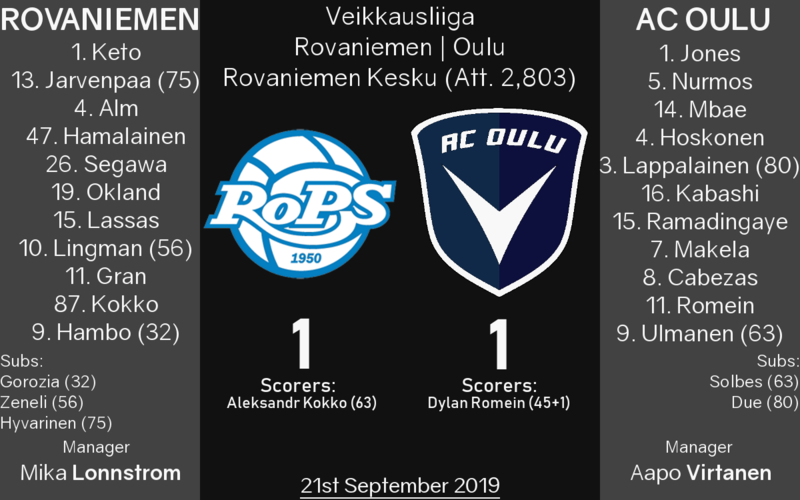 At the bottom end, it was an expectedly poor season for Veikkausliiga newcomers Kotkan who finished rock bottom on 22 points - eight points adrift of even managing a play-off finish ahead of Rovaniemen. They will return back to Ykkonen next season. 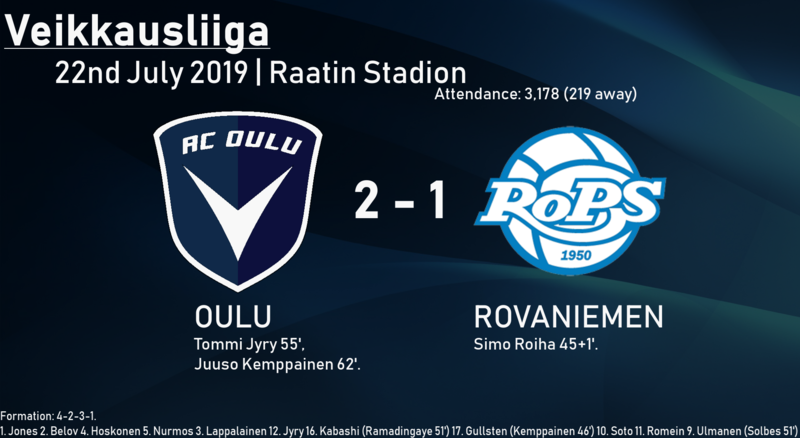 However, despite the relegation play-off finish for Rovaniemen, they actually won the play-off against Turun Palloseura, who were relegated from the top-flight in 2018. They won 3-1 on aggregate and therefore remain in the top-flight. Surprised to see Helsinki finish in fourth, since they're viewed as a dominant force in Finland. 2018-12-18 15:48#253645 ScottT : Surprised to see Helsinki finish in fourth, since they're viewed as a dominant force in Finland. Winter time in Finland. It sometimes gets to as low as minus twelves degrees Celsius around here in these days. I was making my way through the town of Oulu after leaving work, ready for the winter holidays. I walked my usual route down past the Kauppakeskus Valkea shopping centre which meant I was about fifteen minutes away from home. I was wrapped up in my woolly black trenchcoat to cover myself from the cold Scandinavian winds, although I had accidentally stood in a puddle which meant the water had found its way into my shoes and they were absolutely freezing. After I had walked down the left hand side of the shopping centre, I turned left onto Kasarmintie - the road I had to follow on my way home which led to the small area called Kasarminrant. I had a smile on my face, which nodded to every person I walked past despite the bitter cold, I was on holiday until next month and after such a stressful season at Oulu I certainly needed it. Walking past the joyful pubs, bars and restaurants along the streets there was definitely excitement building up across the town as we headed further towards Christmas time. There were songs, dancing and laughing in every window I looked into - Oulu was alive at night time. I continued down Kasarmintie and past Kasarminrant, seeing civil servants coming out of the local council buildings at the end of their shifts. I had to turn left onto the E8 highway road that went across the Oulujoki river, including the bridge. I hated the bridge I had to walk across - it was so long and the wind really struck you hard. I looked over the side of the bridge at the river. It was starting to freeze over in the Baltic weather. I was a quarter of the way across the bridge before I saw a young man, dressed head to toe in the colour black. He had a hoodie on with Nike tracksuit bottoms, as well as a rucksack that he seemed to be struggling to carry as if it was weighing him down. The man stopped halfway along the bridge at the highest point and stared across the river. With everybody in the pubs drinking, the roads were extremely quiet on this Saturday night, there wasn't a car in sight. They man looked around his surroundings, almost suspiciously. Suddenly, all in one movement he grabbed hold of the barrier, jumped up on the side and looked down and then up towards the sky. 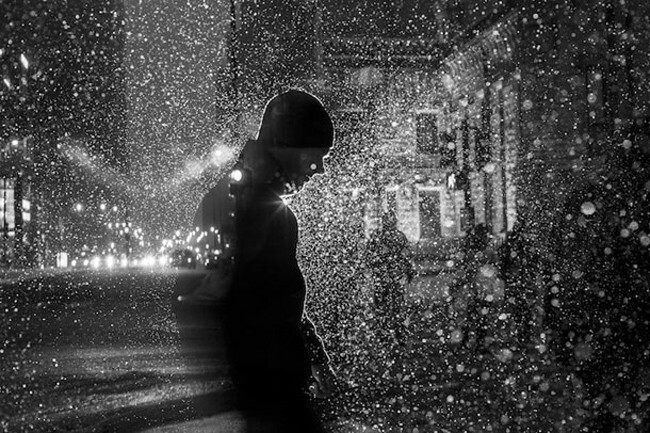 His body was shuddering either out of coldness or fear. I stopped dead in my tracks on the bridge. From that height with the river freezing over and water temperature below freezing, there was no chance he would have survived, even if he was still alive after the fall. The river banks were too high up to climb out. He was gone. And what did I do? I walked away. I pretended I had not seen anything. You are reading "Aapo Virtanen: He's Finnish, Not Finished! ".